This is a fantastic cartoon to add to your holiday watch list this year, full of outrageous and zany adventures – and lots of holiday cheer! Lanny and Wayne, both Christmas elves, try to help out Christmas by saving it from a computer-hacking “naughty list” kid who has managed to get a hole of highly classified software! 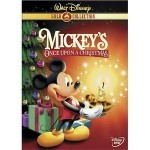 A follow up to Mickey’s Once Upon a Christmas, this DVD has some great little shorts from Mickey and the gang that will delight your family! There are five episodes in total on this DVD, as well as some fun little bonus features with sing alongs and games. You can also view some backstage information about the “Belles on Ice” episode. First off, Mickey Mouse, Donald Duck and the others are so busy obsessing over preparing for the holidays that they are stressed out and feeling regretful… then Minnie Mouse and Daisy Duck get out of hand in a competition on the ice, hurting each other’s feelings. Huey, Dewie, and Louie scheme to get on Santa Claus’ “good list” and get into trouble, almost ruining Christmas for everyone! 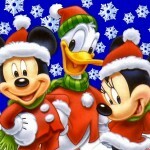 Goofy’s son Max is embarrassed by his father later on, and Mickey Mouse lashes out at Pluto, almost losing him forever!! 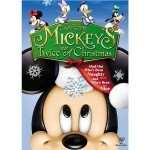 This Disney classic has a series of different little shorts that celebrate Christmas with Mickey Mouse and the gang. 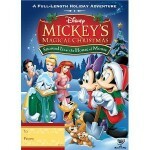 This collection should definitely make it into your holiday movie set as it has some extremely memorable and lovable shows with all of the classic Disney characters. 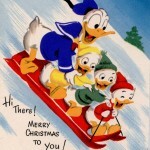 The show starts off with Donald Duck and his nephews learning about the holiday season, and is followed with Goofy and his son discovering the spirit of Santa. 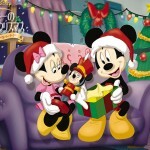 Mickey and Minnie reenact the story of “The Gift of the Magi” and Donald hosts a Christmas party at his house, including a breakfast in the morning. Each story has a feisty twist, and a lovable ending that truly helps you celebrate the joy of the holidays. 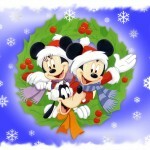 If you enjoy this, you might also enjoy Mickey’s Twice Upon a Christmas too! 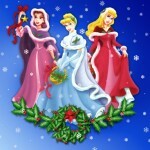 An adorable Disney Christmas movie, this show features many of our most beloved Disney characters. Mickey Mouse has offered to host a House of Mouse celebration with live entertainment and shows to watch. However, as the show concludes, the House of Mouse has been snowed in! 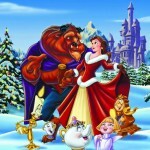 This DVD also includes other fun features, such as a sound effects tour, sing-along songs, and more!